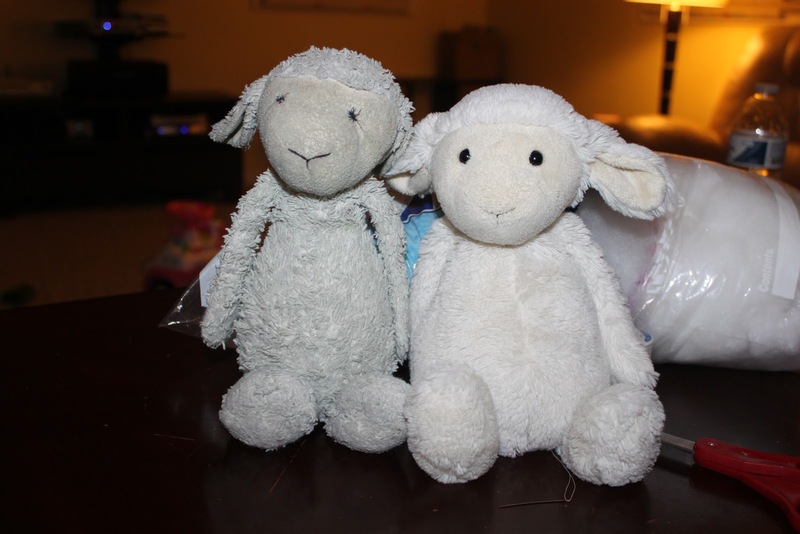 In the past I have written about my sons best friend Lamby (posts here and here). 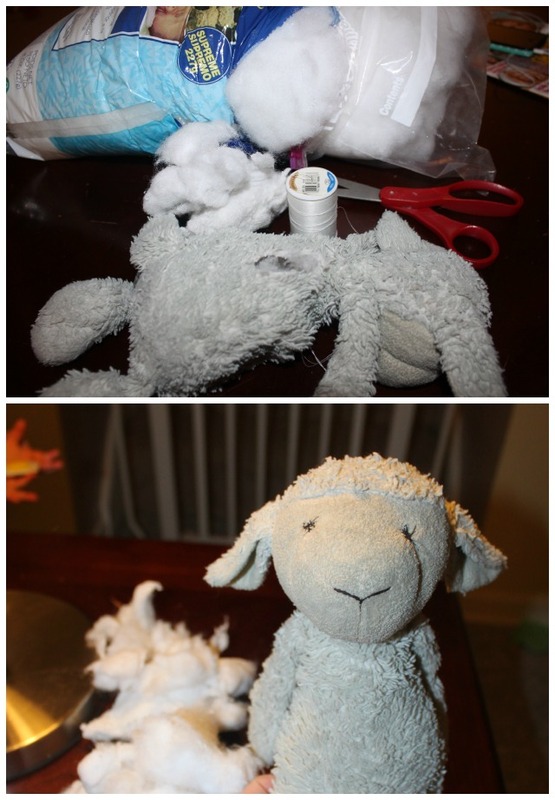 Lamby is just shy of 5 years old now and needed another "surgery". We noticed how much smaller he was then Lamby two (Lamby two only 2 years old now and does not sleep with him EVERY night like Lamby one does). My son actually watched me from the top of the stairs and kept asking "what are you doing now? Is he going to be ok? You are doing a good doctor job mommy." Look how gross that old stuffing was (shown in background). So glad I switched it out! They look a bit more alike now and for some reason that made me super mom in his eyes. I have also recently learned a lesson in having a daughter who loves princess wear. I made the mistake of washing one of her dresses with our "wash only" regular clothes and everything came out with glitter on it. Yep, my hubby's tees where covered in it. OOPS! 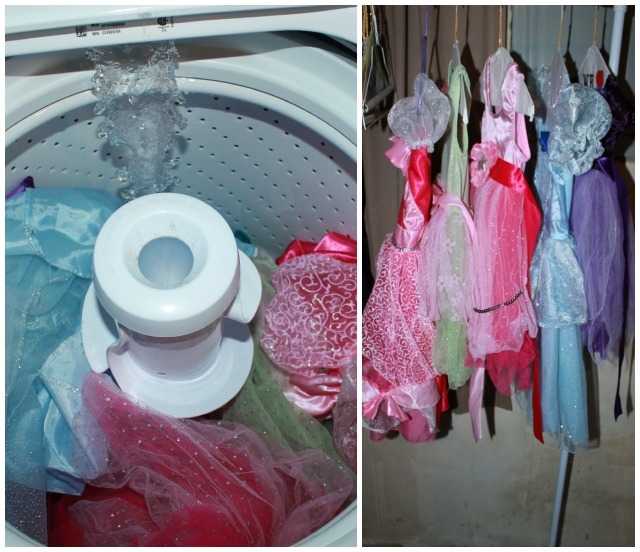 I now know that princess wear can only be washed with other princess wear. I even have a wardrobe rack in my laundry room where they hang dry now too. Ahh, the life of a mommy. In other news today is my birthday! I love birthdays. You can not/will not convince me that 34 is old. I am so thankful to be here another year and think people who say "I'm so old" every birthday are funny. Have you entered my current giveaways? You're such a good mommy :) And happy birthday gorgeous!! I hope you have a great weekend! Happy Birthday Lisa :) And isn't being a mom the bomb? I love it! Happy Birthday Doll! you are a real life Doc Mc Stuffins! So sweet! Enjoy your b-day weekend! Lol I will remember that for future reference. Primcess wear with princess wear only. And Happy Birthday! Hope you have a wonderful day and no 34 is definitely not old, I'm 36 and I still think I'm young!